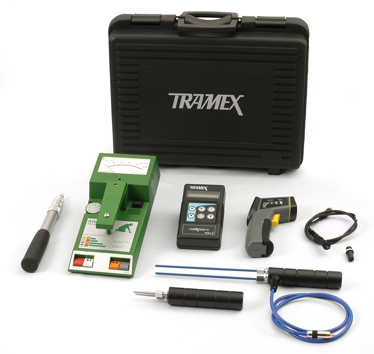 The Tramex Roof DEC Scanner Master Kit is an ASTM D7954 mobile non-destructive impedance moisture detection instrument on four wheels, for detecting and evaluating moisture conditions in roofing and waterproofing systems up to 6" in depth. 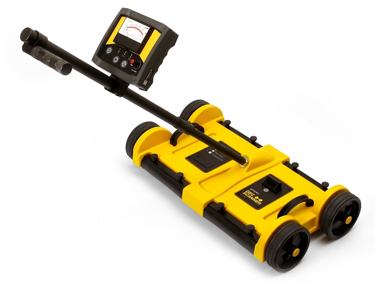 The Dec Scanner allows for quick scanning of large flat roof areas with instant, accurate results. 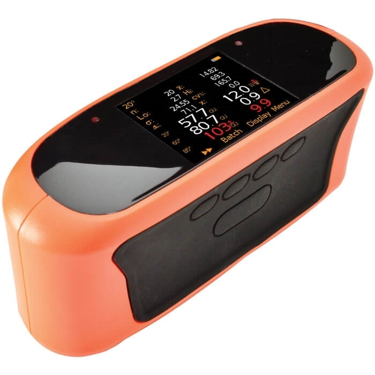 It is an alternative to using IR from a helicopter and does not need the weather to cooperate for a proper IR scan. Even with an IR Scan, this system is required to narrow in on the exact area of moisture infiltration. The main unit is the Roof Tramex DEC Scanner which features 3 switchable ranges of sensitivity to suit most roof construction types and roofing depths. 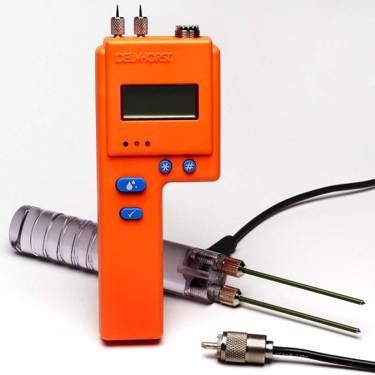 This non-destructive meter is the best way to measure moisture on large, flat roof surfaces. Most roofing professionals usually start with this configuration, but if the extra accessories are not required, then please look at the DEC Scanner only at Tramex Roof Dec Scanner DSAL. WHY SHOULD TESTING BE DONE? Excess moisture in a roofing and waterproofing system can affect its performance, reducing thermal resistance values and energy efficiency, raising energy costs, and eventually causing structural damage and system failure. -prior to reparation or re-roofing in order to determine the cause and extent of the damage. Measures up to 6.9% Moisture Content in Concrete. Large clear backlit digital display. Hold function “freezes” meter reading when inspecting areas where the meter face is not visible. 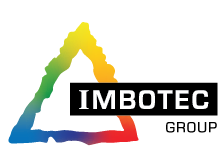 The Tramex Roof Dec Scanner detects and evaluates the moisture conditions within roofing and waterproofing systems by non-destructively measuring the electrical impedance. This is a method that is very well suited to obtaining comparative moisture content readings in the many different types of materials used in the roofing assembly. 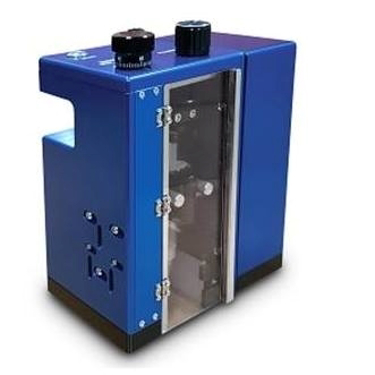 The Dec Scanner is a battery powered, electronic instrument, that generates a low frequency electronic signal. This signal is transmitted into the material under test via one of the two electrodes incorporated in the rubber electrode mat, which is draped on the underside of the instrument. The other electrode receives the signal that is transmitted through the material under test. The strength of this signal varies in proportion to the amount of moisture in the material under test. The Dec Scanner determines the strength of the current and converts this to a comparative moisture value. By moving the Dec Scanner across a roofing surface in a regular pattern, a continuous reading is obtained, and any areas that contain moisture can be readily identified. Range 1- Most suitable for single-ply and thin roof coverings such as PVC, Hypalon and other smooth surfaces where insulation is wet and moisture is close to the surface. Range 2 – Most suitable for multi-ply built-up and modified systems, mineral surfaced felts, and other smooth or gravel surfaces where insulation is less wet and moisture is below the surface. Range 3 – Most suitable for thicker roof coverings such as mastic asphalt, thick gravel and stone surfaced roofing. A known acceptably dry area should always serve as a reference location for the set up of the instrument. On a known acceptably dry area of the roofing system, where the surface and sub-surface insulation and components are dry, choose the most appropriate range. Using the ‘Set Point’ knob, set the reference point to just above zero to engage sensitivity. If a known acceptably dry area cannot be identified, position the Dec Scanner over what you consider to be an acceptable dry area. Adjust the ‘Set Point’ knob until the needle points to mid-scale (50) to allow for readings of potentially drier areas. Move the instrument around the roof, following the direction of the lower readings until the area with the lowest reading is found. Now set the reference point to just above zero to engage sensitivity. 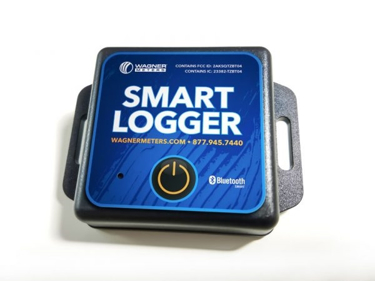 In these situations, the use of a pin type resistance meter with insulated pins can help determine moisture conditions and depth. TYPES OF ROOFING STRUCTURE AND THEIR MORE COMMON PROBLEMS. 1. Built-up-Roofing Systems (BURs): Comprising of 3 or 4 layers of roofing felt, with bitumen adhesive between each layer. - Mechanical damage from maintenance personnel. - Fissures or cracks in the membrane, caused by building settlement or expansion and contraction. - Blistering caused by moisture trapped in the roof system during construction. 2. Modified Bitumen Systems: This type of material is either adhesive or heat applied as a single layer system, or with a base layer of bituminous felt. Sometimes problems occur on the laps and upstands if the material is not fully sealed during construction. 3. Single Ply Roofing: Usually applied in welded sheet form, directly to the insulation. Problems usually occur from mechanical damage and maintenance personnel, pin-holes, bird damage and faulty seams during construction.